Last week, the TOKY team headed to the Denver Art Museum for the Society for Marketing Professional Services (SMPS) Colorado Chapter’s Marketing Excellence Awards. 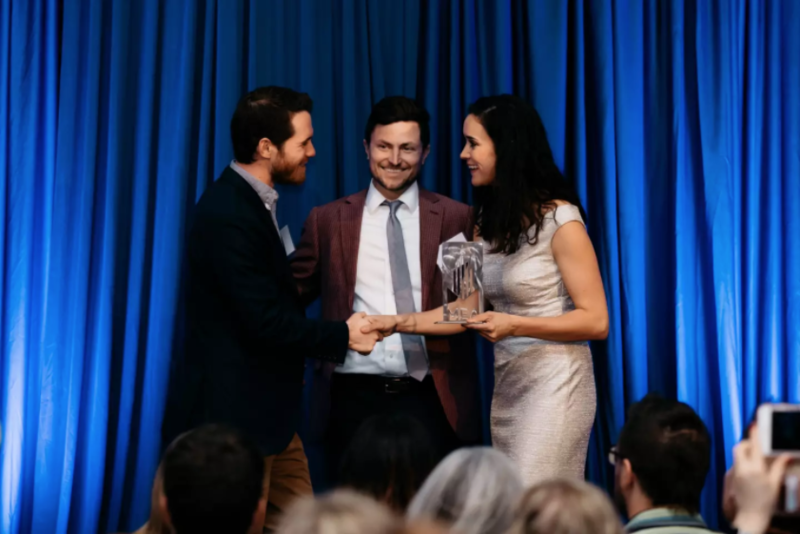 TOKY’s Daniel Korte (senior web developer) and Danny Burns (business development) accept the award for best website at the SMPS Colorado Marketing Excellence Awards. Good times were had by all, and we were thrilled to bring home the best website award for the RNL Design site. 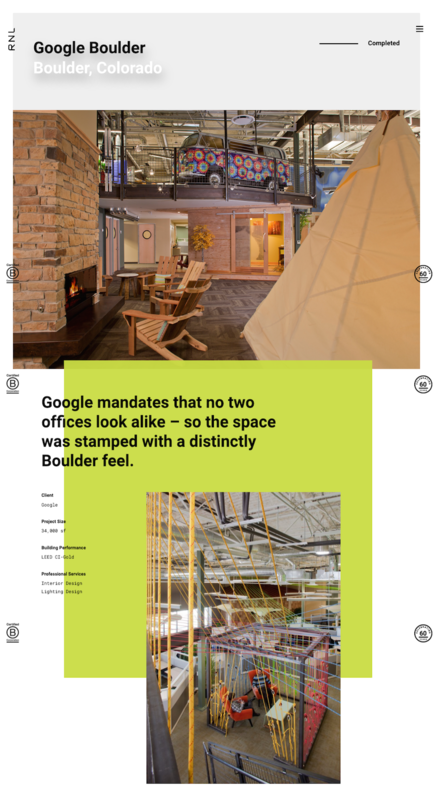 Headquartered in Denver, RNL is an architecture firm with a roster of clients that includes Google, University of Colorado, Smashburger, and Molson Coors. TOKY’s work for the firm began with brand strategy, which served as a foundation for the new site. After thorough research, we created the new tagline, “Performance. Aesthetics. In balance.” The site needed to demonstrate this philosophy throughout, from the Home Page to Project Pages and Team Member Profiles. 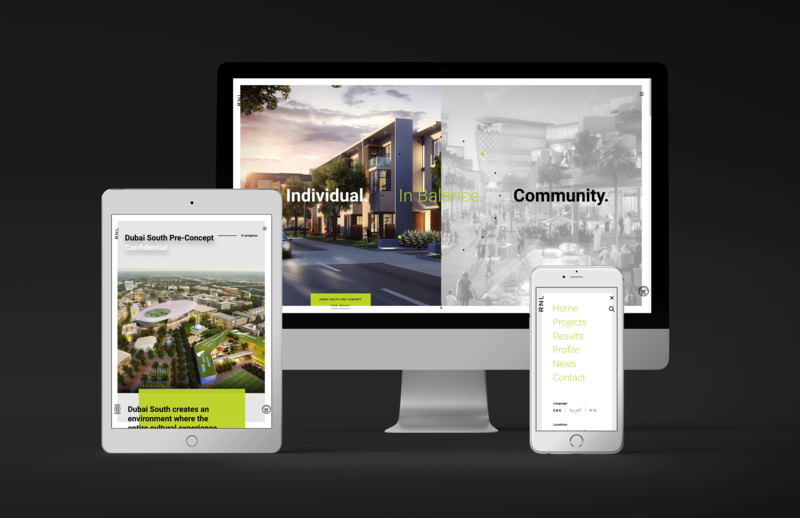 The new Home Page pairs featured project photography with messaging that demonstrates RNL’s balanced approach to design: Performance and Aesthetics; Individual and Community; Work and Play; and so on. 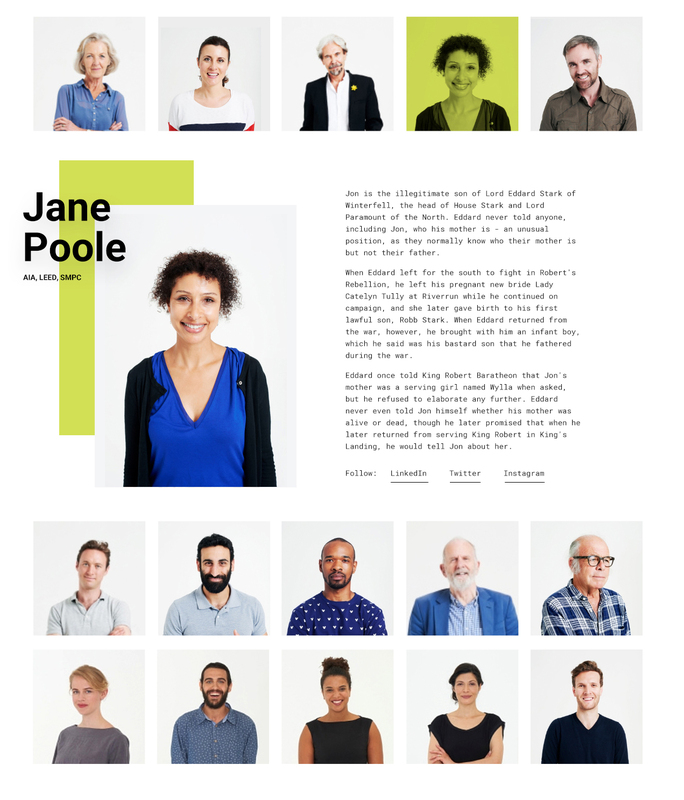 The site’s Project Pages balance large photos, quick-hitting stats, and short value statements with more in-depth text to ensure that every project story is told in a detailed, yet engaging and highly visual way. Blurbs leading to Team Member Profiles appear throughout the site, giving potential clients and recruits an introduction to the team behind the work. Multiple pages on the site pull in an automatically updating feed of Instagram images to highlight the firm’s upbeat culture and team. You can explore the full site here. Congratulations to RNL on the big win — the first of many big things coming out of our new Denver office. To get in touch with our Denver team, contact Danny Burns at 720-627-6939 or danny.burns@toky.com.